By way of the San Diego Union Tribune and San Diego's wsRadio comes the Brian Britt show, who's mission is to challenge your definition of true wealth and help you optimize all of your most valued assets. Brian Britt, veteran financial coach and portfolio manager, speaks weekly with some of San Diego's best and brightest luminaries, visionaries and thought leaders about how to optimize and maximize your life's balance sheet and achieve true happiness. Voxox CEO and co-founder, Bryan Hertz, spoke with Brian on his views regarding the repair of fragmented communication and growing a successful startup while being a successful husband and father. Bryan brings more than 20 years of experience in building companies and management teams, raising capital and driving technology innovation for Fortune 500 banks, insurance companies and data processing facilities. 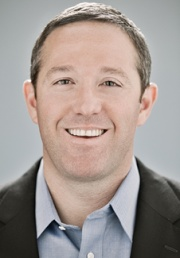 Bryan entered the telecom industry in 2006 and created Voxox to fulfill his vision to unify personal and business communications on a global basis. Today award-winning Voxox solutions are used in over 200 countries by consumers and businesses.